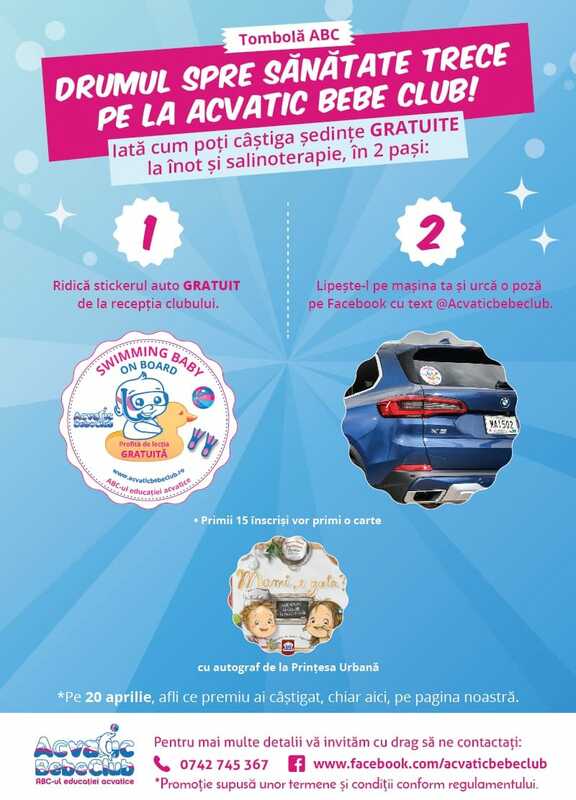 acvaticbebeclub.ro | A free demonstrative aquatic education invitation waits for you at Acvatic Bebe Club! Aquatic education classes have a strong impact on babies. It recommends starting aquatic education program before the age of 8 months, when the water is more easily accepted than the older, swimming reflexes are still present and can be stimulated. 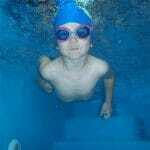 The aquatic environment is ideal for children. Here they can exercise more muscle groups than on land because they are less constrained by gravity. 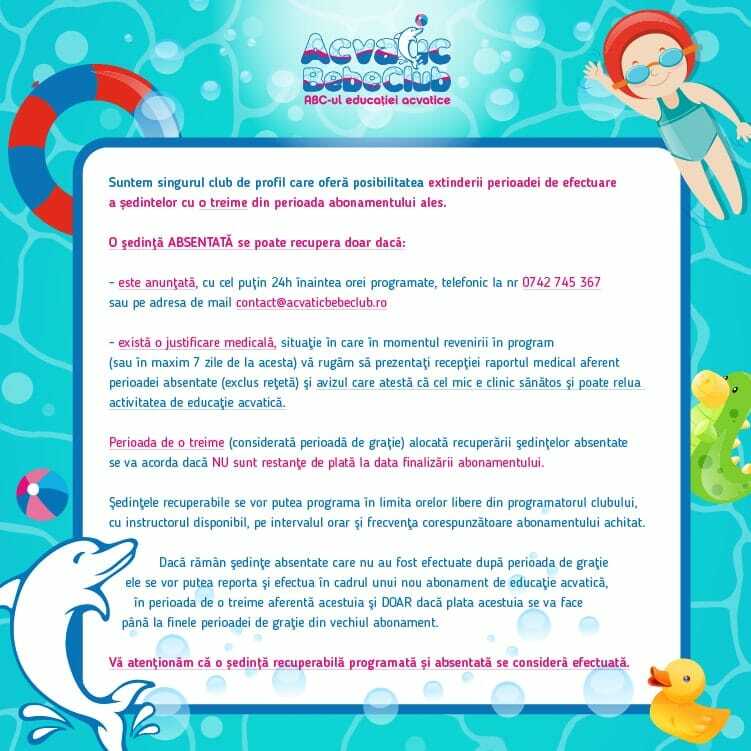 At Acvatic Bebe Club, children between 4 and 36 months are able to experience a demo lesson of aquatic education, with an individual instructor and, through fun games and music, they can discover the joy of independent movements in the aquatic environment. Participation is free based on a previous scheduling and depending on the availability.